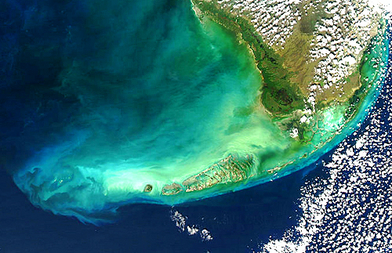 Welcome to Tailing Charters, a fly fishing guide service in the Florida Keys. We offer guided fly fishing and light tackle spin fishing trips for tarpon, bonefish, permit, redfish, snook, jacks, sharks, barracuda and seatrout. Capt. Chris Wells specializes in fly fishing for tarpon, bonefish and permit on the flats of the lower Florida Keys during the prime time season. Captain Chris Wells and Tailing Charters provide trips for anglers of all experience levels. We customize our trips to meet the needs of each individual angler. Whether you're a new saltwater angler or experienced, Capt. Chris will work hard to make your day successful and enjoyable. Capt. Chris Wells guides out of Big Pine Key and the lower Florida Keys which is located near Key West. This is the epicenter of flats fishing and this location offers the best fly fishing for flats species. Every spring the tarpon move through by the thousands and the Florida Keys offer the best Fly Fishing for Tarpon in the world! The bonefish are big here and on average weigh 6-8lbs. 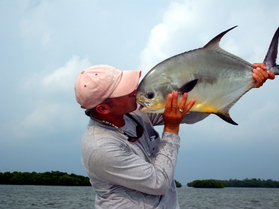 The permit are everywhere and offer anglers an incredible sight fishing challenge. 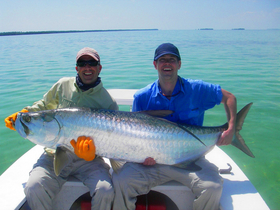 Come fly fish the Florida Keys for tarpon, bonefish and permit. It will be the most exciting, challenging and rewarding experience you've ever had with a fly rod. Spring time is the prime time season and it's a great break from the cold up north! Tailing Charters provides top of the line equipment on all of our trips and uses Sage fly rods Ross Reels exclusively. All you'll need to do is show up with your personal items and your lunch for the day and we'll take care of the rest. Tailing Charters also offers group and corporate charters. 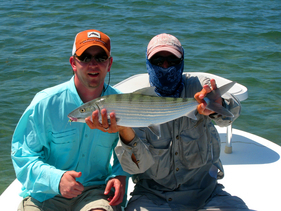 We work closely with several captains and can accommodate up to 8 anglers. If you are looking to book with several friends or want to host your company, we can arrange everything. Please call or email for more information.